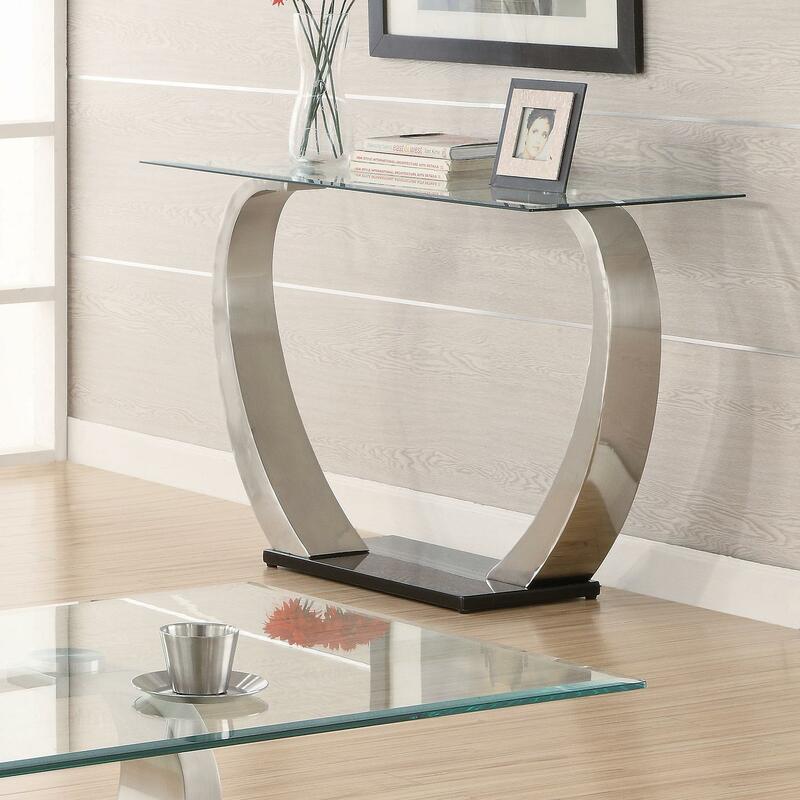 Enhance the flow of your contemporary style throughout your living room with this sofa table. 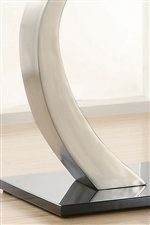 It features striking curved metal legs with a high sheen black base. A floating glass top completes this sleek piece. For the perfect placement, arrange this sofa table next to your modern sofa or against the wall. Great for photographs, flowers, and other decorative pieces, this sofa table will make your living room décor come alive. Complete this set with the coffee table and end table from this collection. The Shearwater Sofa Table by Coaster at A1 Furniture & Mattress in the Madison, WI area. Product availability may vary. Contact us for the most current availability on this product. 701239B2 Table Top 1 0" 0" 0"
The Shearwater collection is a great option if you are looking for Contemporary furniture in the Madison, WI area.